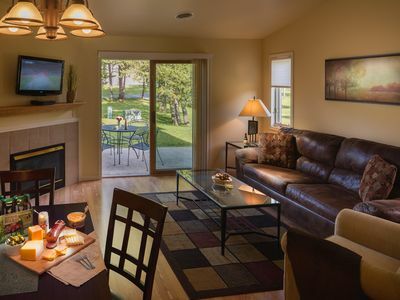 Swim, fish, play or relax in comfort of our condo. 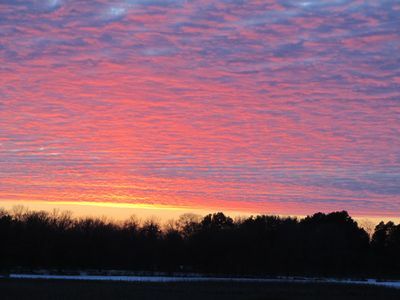 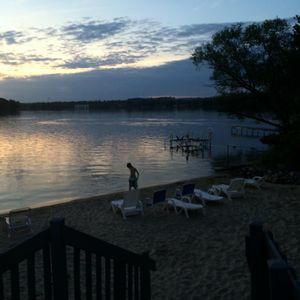 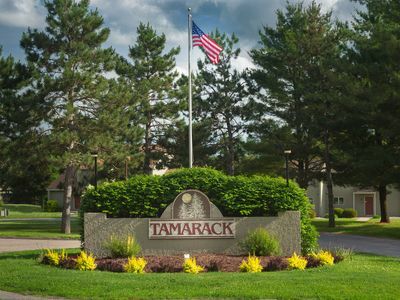 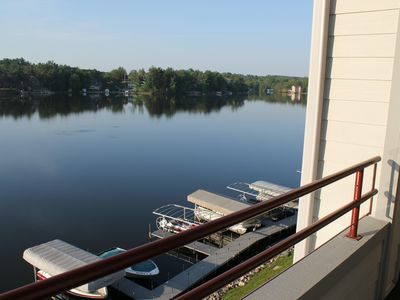 Close to all Wisconsin Dells and Lake Delton have to offer. 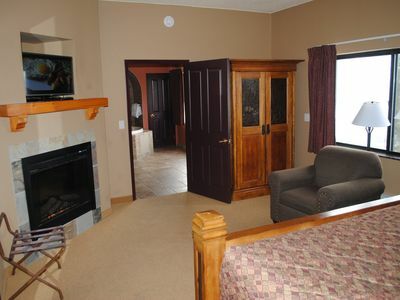 The master bedroom does have private access to the deck. 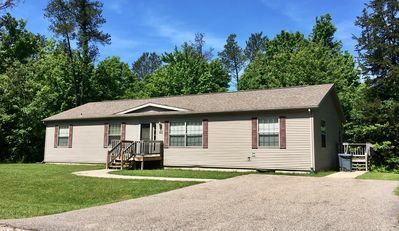 The 2nd BR is on the opposite end of the unit with a full bed and twin roll out. 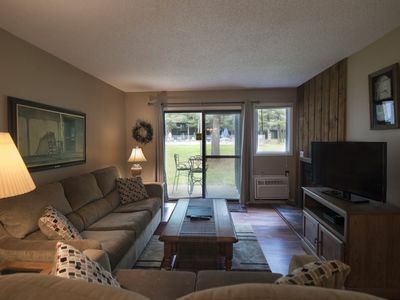 Flat screen TV and a brand new full size sofa sleeper in the living room. 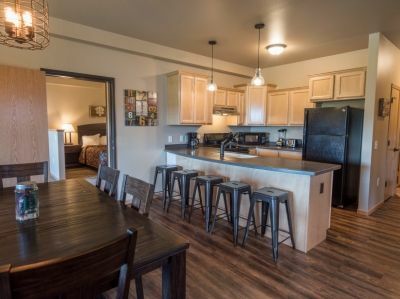 A full kitchen with all the cooking/baking items you may need. 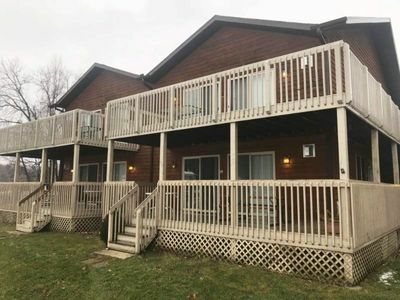 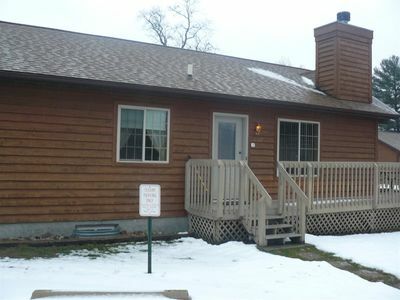 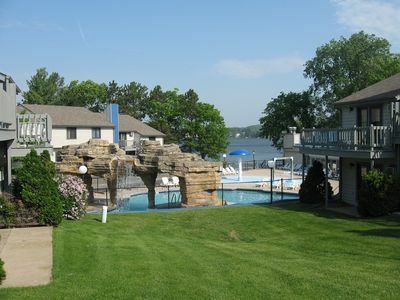 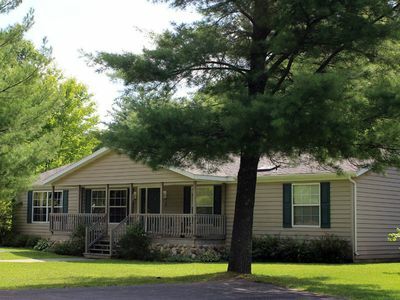 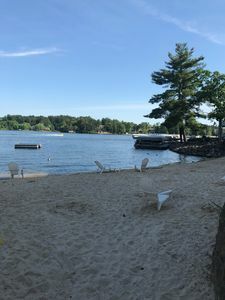 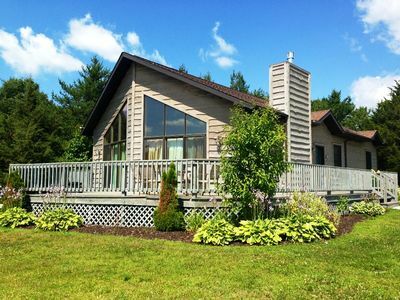 Located on Lake Delton and close to all the big attractions without the crowds. 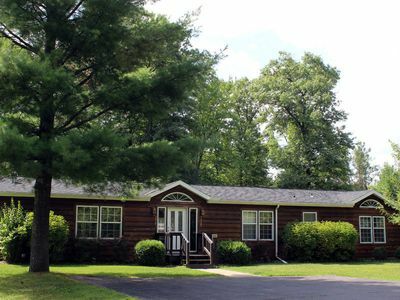 Indoor/outdoor pools, hot tub, sauna, game room, two beaches, private lot for trailer parking, WiFi available in Club House and in our unit. 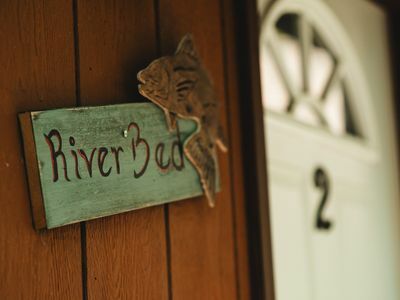 We provide the linens and towels with a few paper products to get you started. 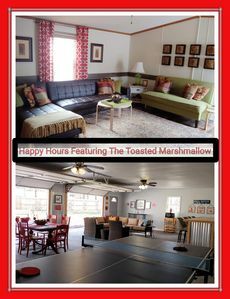 Happy Hours|Toasted Marshmallow Pub/Game Room. 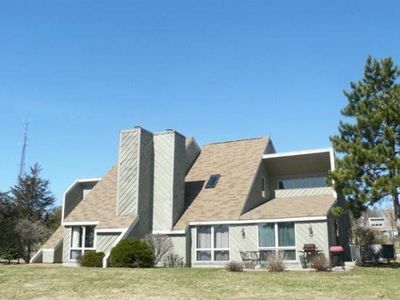 One of a kind hidden gem!